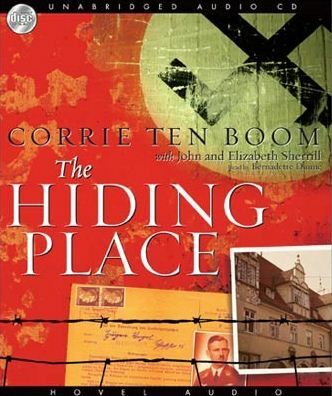 This entry was posted in Recommended Books and tagged Blogging, Book, Book Recommendation, Book Recommendations, Book Review, Books, Christian Literature, Corrie Ten Boom, Holocaust, Literature, The Hiding Place, WWII. Bookmark the permalink. I read that book years ago and the one scene you commented on was the one that stuck in my mind. How wretched we are, coveting our convenience more than the Word of God. Maranatha! I grew up reading “The Hiding Place” and “God’s Smuggler”. On my first tour of Israel, our guide mentioned The Hiding Place, asking if anyone had read it. Several raised their hands. She ask if anyone had a copy – no one raised their hand – it seems the book is not availiable in Israel – I was blessed to have been able to send her a copy on my return to the USA. She is not a believer, YET, but pray the book will open her eyes to the truth. I am a homeschooling mom. I read this book out loud to my three sons when they were in late elementary school. It deeply impacted them, and they have never forgotten it. Yes, this book shows the ugliness that humanity manifests, but it also shows courage, faith, and the faithfulness of God in every circumstance. Everyone should read it. Thank you for the review, I will buy this book.